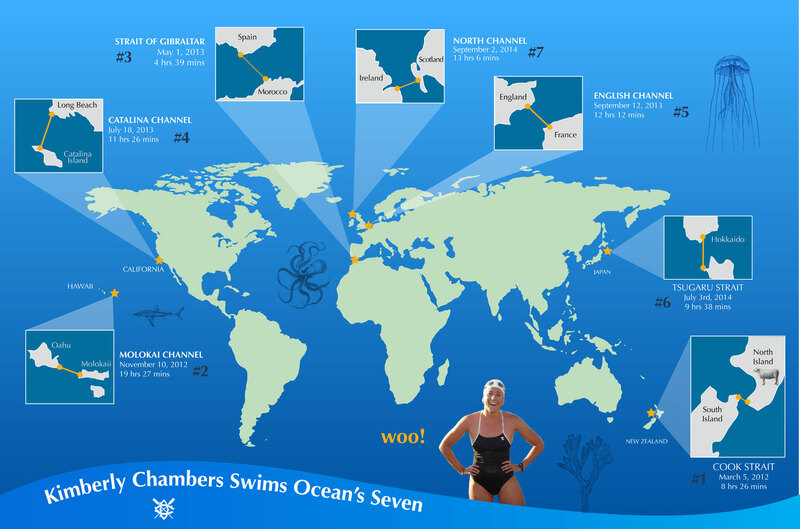 In a cliffhanger swim across the North Channel, Dolphin Kim Chambers today became the sixth person to finish the Ocean’s Seven Challenge. She completed the 21 mile crossing in 13 hours and 6 minutes, swimming from Ireland to Scotland. She fought jellyfish and exhaustion but achieved her goal with an amazing support team including her mom Jo, and friends Matt Donahue and Darren Miller. Congratulations Kim. All Dolphins are incredibly proud of you!